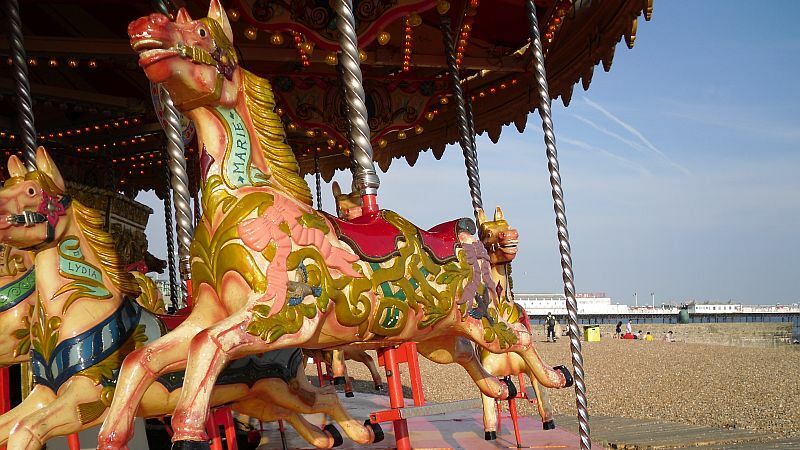 For a fun family day out find the best seaside funfairs and amusements around the UK Coast. From traditional seaside arcades and fairgrounds to roller coasters and theme parks. The UK’s oldest theme park, Blackgang Chine, celebrates its 175th birthday in 2018. Set on the cliff tops, with stunning sea-views, and filled with an eclectic mix of attractions, magical theme worlds and exciting rides, you’ll find something for all the family on a day out to Blackgang Chine. Iconic Brighton Pier attracts 6.2 million visitors each year offering the classic British seaside funfair experience. Fish and chips, sticks of rock, a ghost train and a helter-skelter and amusements. Open daily; free entry, rides priced individually. Amusement park in Margate Kent with vintage rides, roller disco, art installations, street food and more. The ultimate family trip with the kids this summer in Ingoldmells on the East Coast of Lincolnshire. Fantasy Island Amusement Park have everything you need from shopping, food, entertainment and, of course, the extensive range of thrilling rides we have for both adults and the little ones. Situated along the ‘Blue Flag’ beach resort of Hayling Island, Funland Amusement Park offers a variety of attractions indoors and out, so whatever the weather, rain or shine, there is always plenty to do. Families visiting Southend Pier in Essex can enjoy a day out with the kids at Adventure Island amusement park. There are rides for all ages including, the Time Machine, Pirate Plunge ride and a carousel, soft play area for toddlers. Blackpool Pleasure Beach in Lancashire is one of the UK’s top amusement parks and home to the UK’s only Nickelodeon Land. The attractions is home to both white knuckle rides and family friendly fun. Thrill seekers can experience the UK’s tallest rollercoaster, The Big One, the UK’s first looping coaster, Revolution and the UK’s first suspended looping coaster completely over water, Infusion. Great Yarmouth’s Pleasure Beach offers an exciting mix of white-knuckle and child-friendly rides makes the Pleasure Beach ideal for a fun family day out. Pleasurewood Hills on the Suffolk coast is a family amusement park with thrill rides, animal shows and laser tag and a kiddie zone.